Today we are installing a French Drain system for a customer in East Norman. She has water running into her front door through her flower bed. The bed acts like a pond and over-spills onto her front porch and then through her front door. To solve the problem, we are installing a French Drain running across her flower bed and under her sidewalk. Once under the sidewalk the French Drain will connect to Solid Drain Pipe and continue on down the hill to the exit point where we will install a pop-up emitter. There are two gutter downspouts that will be connected into the French Drain System along the way. Do you have water standing in the wrong place after a hard rain? Does your sidewalk turn into a moat after a storm? Or does your back yard flood from run-off from your neighbor’s roof? If so, give CMG Drainage Systems a call. CMG can quickly diagnose your Drainage Problems and provide a solution. With over 20 years experience, we can handle all your residential or commercial drain issues. French Drain Installation is what we do! CMG has been installing Drainage Systems in Central Oklahoma for over twenty years. 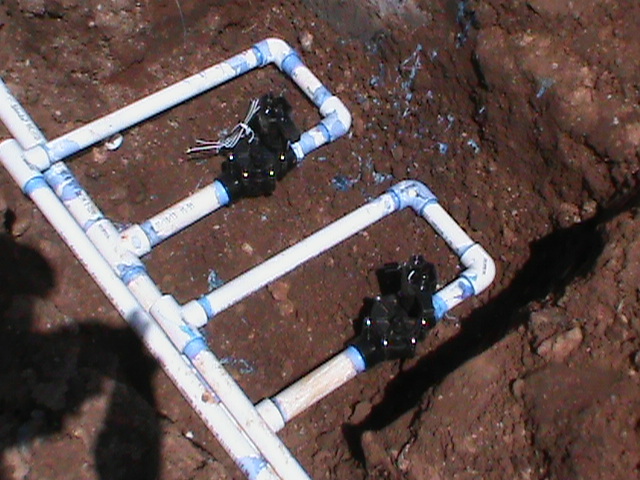 We solve all types of Drainage Problems for residential and commercial customers. Recently we installed a Drainage System in Moore. Our customer had a new home. Originally their home was destroyed in Moore‘s last tornado. Every time it rains their back yard turns into a pond. CMG installed a 6 inch French Drain in the back yard and connected the gutter down-spouts into the French Drain. From that point we ran ADS solid Drain Pipe all the way to the street. At that point the curb was cut and a Curb Outlet was installed with acrylic concrete. The French Drain did the trick. Drainage Problem solved. Angie’s List has awarded CMG Sprinklers and Drains their top rating for customer service and lists CMG with an “A” rating. 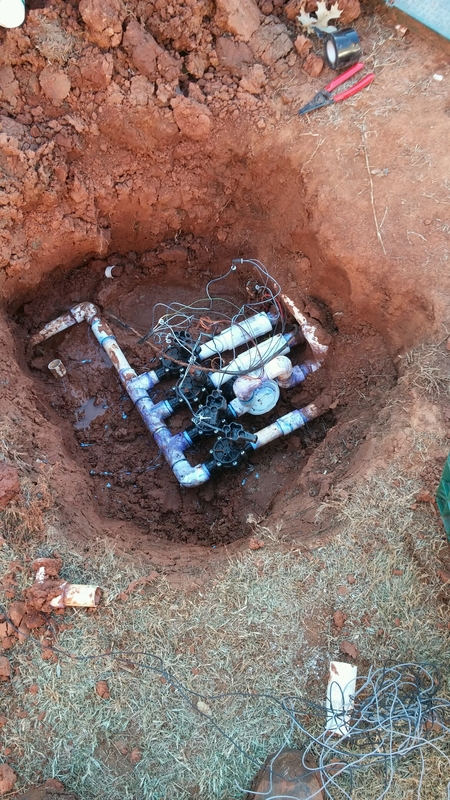 CMG Installs Drainage Systems, Lawn Sprinkler Systems and provides Expert Sprinkler System Repair. Our Drainage Systems utilize French Drains, Surface Drains, Channel Drains, and Sump Pumps. Sprinkler Systems installed by CMG use Rain Bird or Hunter Sprinkler Parts. With over 20 years of experience we provide top quality Sprinkler Systems, French Drains, Drainage Systems, and Sprinkler Repair. French Drain Pipe running to curb outlet in Oklahoma City. CMG Services all of Central Oklahoma including: Norman, Moore, Edmond, Yukon, Mustang, Oklahoma City, Midwest City, Del City, Blanchard, Newcastle, Purcell and Chickasha. CMG Sprinklers and Drains can help with Drainage Problems in and around your home or business. If you have water standing in the wrong place after a hard rain, a Drainage System can be a great solution! If your sidewalk turns into a moat after a storm, or if your back yard floods from run-off from your neighbor’s roof give CMG a call. CMG can quickly diagnose your Drainage Problems and provide a solution. We incorporate several types of Drains in our Drainage System depending on the Drainage Problem. CMG installs: French Drain, Surface Drain, Channel Drains, Basin Drains, Trench Drains, and Sump pumps. CMG has won the Angie’s List Customer service Award three years in a row for Drainage Systems. A French Drain that will keep standing water away! A French Drain is completely different from a Surface Drain. A basic French Drain consists of a Perforated Drain Pipe in the bottom of a trench. A Trench Liner is sometimes used depending on the Drainage System Design and the type of soil. The Drain Pipe should have a neoprene sock around the Perforated Drain Pipe. This is to ensure that the Drain Pipe does not become clogged. A trench is dug that is slightly wider than the French Drain Pipe that is being used. There are several sizes of French Drain Pipe. Three Inch, Four Inch, and Six Inch are the most common sizes of French drain Pipe. The dirt that is taken out to make the trench is hauled away. It is replaced by some type of small stone or gravel depending on what is desired or available. I prefer crushed 1 inch lime stone. It is the most economical option in my area. Pea Gravel or some other type of small stone can work just as well. The lime-stone or gravel is placed in the trench on top of the perforated Drain Pipe and filled all the way to the surface (ground level). In some cases where the French Drain needs to be deep or is being placed in sandy soil, a special trench liner must be placed in the trench before the perforated Drain Pipe or the Gravel are installed. This helps maintain the integrity of the trench over time. It also increases the cost of the French Drain and the amount of time to install it. I install a trench liner in a French Drain about 20% of the time. Most of the time a liner in not needed. A French Drain can protect your foundation! A basic French Drain consists of a Perforated Drain Pipe in the bottom of a trench. The French Drain Trench runs through a Problem Drainage Area that needs to be drained. The French Drain Pipe is perforated (Full of Small Holes) and has Neo-Prene Soc around the pipe. This soc helps prevent debris from clogging the French Drain Pipe. The dirt that was taken out to make the trench is hauled away. It is replaced by some type of small stone or gravel depending on what is desired or available. I prefer crushed 1 inch lime stone. It is the most economical option in my area. Pea Gravel or some other type of small stone can work just as well. The lime-stone or gravel is placed in the trench on top of the perforated Drain Pipe and filled all the way to the surface (ground level). In some cases where the French Drain needs to be deep or is being placed in sandy soil, a special trench liner must be placed in the trench before the perforated Drain Pipe or the Gravel are installed. This helps maintain the integrity of the trench over time. It also increases the cost of the French Drain and the amount of time to install it. I install a trench liner in a French Drain about 20% of the time. Most of the time a liner in not needed. A French Drain is designed to handle a large volume of water and cover a large area. The Drain is anyplace the trench goes. It has many applications and can be used in many situations. It can be installed by itself or incorporated into a Drainage System with Surface Drains or Gutter Down-Spouts connected to it. The main downfall of a French Drain is that they, for the most part aren’t very pretty. They don’t look very nice in a yard once they are completed. 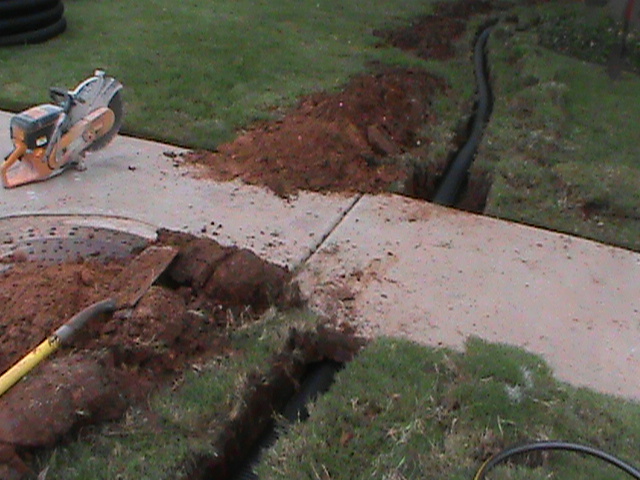 Edmond Oklahoma has been the location for many French Drain Installations for CMG in the past several years. Recently we ripped out an old Surface Drain that was under a deck. The Surface Drain was too small for the job and did not Protect the Foundation from Standing Water. The First step was to take out part of the deck along the wall. Next we took out the Surface Drain and the Three Inch Pipe which was too small. Digging a trench along the foundation came next. We had to ensure the, “Fall” to make sure the water would run from left to right. Next a French Drain Liner needed to be installed. This was necessary to maintain the integrity of the trench and to keep the French Drain Pipe from filling up with sand and getting clogged over the next few years. CMG then installed 4 inch ADS Perf/Soc French Drain Pipe along the course of the French Drain. Next we connected the end of the French Drain Pipe to Solid 4 Inch ADS Drain pipe to continue along the trench to the Pop-Up Emitter at the Exit Point. CMG installed a 4 inch French Drain in East Norman this week. The customer had water standing on the side of his house that was causing foundation damage. He contracted a Structural Engineer to come out and look at the Drainage Problem and to give him some advise. The Structural Engineer recommended a French Drain to protect and draw water away from the foundation. He said that, “he had recommended French Drain Installation to solve similar problems for home owners many times in the past. The Structural Engineer was confident that it would solve the Drainage Problem. Next, our customer went online and found us by searching under, ” Norman Oklahoma French Drain.” He also checked us out on Angie’s List and Found that we were one of the highest ranked Drainage Contractors in the state of Oklahoma for installing French Drains. The Gentleman gave us a call to set up an appointment. CMG arrived on the agreed time and provided a ( Free- No Obligation- Drainage Diagnostic and Quote) We came out and looked at his Drainage Problem and designed a Drainage System to solve his, Standing-Water Problem.” We also recommended a surface drain in a corner where water was coming off a steep part of the roof and overwhelming the gutter. The customer let us know that he was ready to move forward. We scheduled the Drainage System Installation for the following week. When the scheduled day arrived, we installed the Drainage System. The Drain was made up of a 6 inch French Drain running 30 feet along the East side of the house. It curved around the corner of the house. At that point a 12 inch Surface Drain was connected to the French Drain with 4 inch pipe. The 6 inch French Drain at that point changed to 6 inch Solid Drain Pipe and continued under ground 65 feet to a pop-up emitter at the curb in the front yard near the street. Depending on the area the French Drain is installed and the type of grass around the French Drain, will dictate whether grass grows over the lime stone. Grass can grow up and through the gravel in the French Drain over time eventually covering the gravel. This is Ok. It won’t have a measurable effect on the performance of the drain. DONT COVER THE GRAVEL IN THE FRENCH DRAIN WITH DIRT. THE FRENCH DRAIN WON’T WORK IF THE TRENCH IS CLOGGED WITH DIRT. DON’T EVEN INSTALL IT IF YOU ARE GOING TO COVER IT UP WITH DIRT. DECORATIVE STONE CAN BE USED TO COVER A FRENCH DRAIN AND THEY LOOK GREAT AND LAST A LIFETIME. CMG sponsors the “ Life from tragedy blog page“. It helps people cope with the loss of a loved one. Grief is a part of life. French Drains can utilize several types and sizes of French Drain Pipe. An older type that is not commonly used any more is 4 inch PVC Pipe with large half inch holes drilled in the Pipe. This doesn’t work very well, Because the holes are too large and the number of holes in the French Drain Pipe are too few. Also there is no filter or “Soc” around this particular French Drain Pipe. If it is used in sandy or loose soil the holes will clog and the pipe will fill up with sand. PVC French Drain Pipe should be avoided. ADS French Drain Pipe is much better, the holes are smaller and much more numerous. 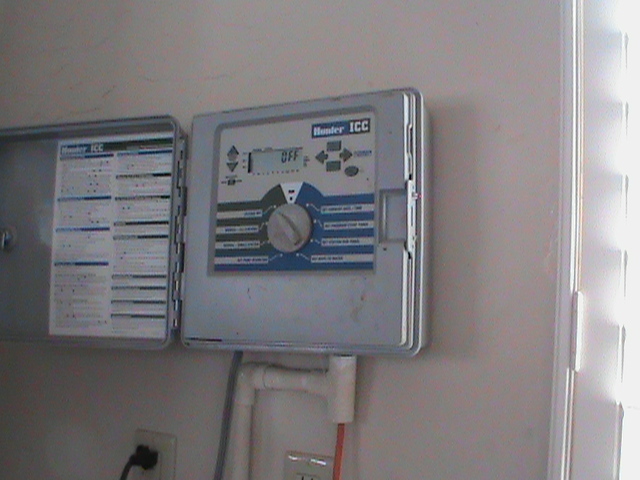 It also comes inside a soc that acts as a filter and helps keep sand and debris out of the French Drain Pipe. It works very well. For Small business and Residential French Drains, Four inch ADS Perf/Soc French Drain pipe is adequate and the most common. It is used for the majority of all French Drains installed. French Drains can be installed using 3 inch ADS Perf/Soc but many times it is too small and can be overwhelmed by a heavy rain or from a bad design. (Too many gutter down spouts connected directly into the French Drain, For Example) Three Inch French Drain Pipe should be avoided if possible. Six inch ADS Perf/Soc French Drain Pipe is usually a good idea when possible. It carries a much larger volume of water. Six Inch French Drains are rarely overwhelmed. The Drawbacks to 6 inch French Drain installation are: 1. The Materials Cost is higher for six-inch French Drain Compared to Four Inch Pipe. 2. Many times 6 Inch French Drain Pipe is too large for many applications, Such as going under a fence or sidewalk. All things being considered, the performance and longevity of a 6 inch French Drain is well worth it if you are trying to protect something of value to you! If the higher cost and the additional labor and materials are not a problem and 6 inch French Drain pipe is not too big for what you want to do then a 6 inch French Drain would be the best. French Drain Installation can prevent water from getting into your air conditioner floor ducts. A common Drainage Problem for people in Central Oklahoma is ground water seeping into floor air conditioner ducts. This can cause very costly damage to a home or business. Water-proofing Ducts, or even worse, trying to remove mold from duct work can cost big bucks. Structural Engineers typically recommend French Drain Installation to keep water out of ducts. French Drains catch and remove sub-surface water that is traveling underground toward a foundation. It is intercepted by the French Drain before it can seep under the building in question. Because this water is not usually seen, it may not be taken into consideration when diagnosing drainage problems. Surface Water traveling to a problem area is obvious as it flows on the surface in plain sight. CMG has 21 years of experience Diagnosing Drainage Problems. We always check for sub-surface water flow into any Problem Drainage Area. Again, French Drains are intended to handle water moving both underground and above ground. French Drains can also be used to remove water that is standing in a large area such as up against a foundation or along a fence. French Drains don’t do so well in tight small areas. These areas are best suited for a Surface Drain with a grate. Many times we install French Drains along foundations after a home owner has spent large amounts of money on foundation repair. Several Foundation Repair companies and Duct waterproofing companies recommend CMG for French Drain Installation. Typically we install a French Drain by itself or as part of a Drainage System after they have completed their repairs to the foundation or duct work. Drainage Problems occur in all types of places. Water can stand along fences or driveways, or in yards and flowerbeds. Damage can be done to sidewalks and in yards. Finding a good Drainage Solution usually involves a French Drain. CMG provides quality service for central Oklahoma. If you live in Norman and need a French Drain, or if you live in Oklahoma City and want a Channel Drain installed across your driveway, give us a call. We have installed Drainage Systems and French Drains in: Oklahoma City, Edmond, Moore, Midwest City, Norman, Yukon, Mustang, Del City, Blanchard, Newcastle and all surrounding areas. Recently we installed a French Drain in Norman. Our customer had water running down the hill from his neighbor’s Sprinkler System into the North wall of his house. Over time the ground became saturated and water seeped under the wall and into his floor air conditioning vents. We installed a 4 inch French Drain along the North wall of his house to provide a barrier to the continuous water flow. In a few days the moss that was growing on the side of his house began to die from lack of water. A Duct company came in and cleaned out is vents. The French Drain removed the surface and sub surface water that was flowing into his home. Problem solved. The term, “French Drain” gets thrown around a lot. Many times people say they need a “French Drain,” when they mean Surface Drain, or Channel Drain. It is becoming a Catch-All Phrase that may refer to any type of drain. French Drains provide specific benefits that are different from Surface Drains. A little info about French Drain Pipe and Tree Roots. Normally tree roots don’t seek out and penetrate French Drain Pipe. Tree roots seek moisture and residual water that may stay inside Solid Drain Pipe. French Drain Pipe is perforated. Water that does not reach the exit point of the French Drain will seep out of the Pipe into the surrounding dirt. Solid Drain Pipe that is used with Surface Drains can be penetrated and eventually clogged by roots if the pipe does not have good slope or “Fall”. If the solid pipe does not drain well and has residual water, tree roots will seek it out. Check out our most popular blog! Drainage Systems are designed to protect your home or business from standing water. Storm-Water Runoff can cause damage in many ways. Water from your gutters can seep down into your home’s foundation if it has no good way to drain off. If the temperature then drops below freezing, the water around your foundation can freeze and cause serious damage to the home’s foundation. Foundation repair can cost more than a Drainage System. Drainage Systems typically make use of , French Drains, Surface Drains, or Channel Drains. Depending on the Drainage Problem, A Drainage System may utilize one or several types of Drains. CMG might install, for example, A Surface Drain in the middle of a driveway that runs to a gutter that is connected into the drain pipe. The Drain Pipe might continue to a French Drain running parallel to a homes foundation. Next the drain pipe might continue to a channel drain cutting across a sidewalk. The Drain pipe might then reach its exit point running out through a curb fitting installed and cemented through the curb. A Surface Drain basically is a basin that has a grate on the top. A drain pipe is connected to the basin below ground. The water flows in through the grate and down into the basin. The water then exits the Basin through the Drain Pipe and move toward the exit point of the Drainage System. Surface Drains are designed to handle water that accumulates in a low areas. These areas should not be too large or broad, and the water that drains into a surface drain should not be moving very fast. Surface Drains can become overwhelmed if they are placed in an area that must move a large volume of water, quickly. Selecting the correct drain for the specific drainage problem is a benefit that CMG provides through twenty years of experience. French Drain Installation — French Drains are designed to do a lot of things. If you have an area that has unwanted water standing in it or running across it, a French Drain can be the answer. A French Drain is a trench that runs across the Drainage Problem Area. A French Drain Pipe is placed in the bottom of the trench. The French Drain Pipe is perforated with thousands of small holes. In most cases the Drain Pipe has a nylon soc around the pipe to act as a filter for the French Drain. The French Drain trench is then filled with some type of small rock or stone. CMG typically uses crushed 1 inch Lime Stone to cover the French Drain Pipe. The dirt that was dug out of the trench is taken away or spread out around the French Drain. The Lime Stone replaces the dirt and fills the French Drain Trench all the way to the surface. When water come in contact with the French Drain, it seeps down through the stones and into the French Drain Pipe. It then flows through the Drain Pipe to the exit point. Typically a French Drain will have two possible exit points. The First is called a “Pop-Up Emitter.” It is a Green Lid on top of a release basin for the French Drain. Popup Emitter to release water from a Drainage System in Yukon. The second type of Exit Point for a French Drain is a “Curb Fitting.” The Curb Fitting is installed through the curb going out into the street. The French Drain Pipe runs to the Curb. The curb is cut out and the Curb Fitting is cemented through the Curb. French Drains are designed to move large amounts of water. A French Drain moves water away from the Drainage Problem area from the Surface like a large Surface Drain, But also below ground, or sub surface. Most people don’t take into account the water that flows to a problem area underground. Sub surface water flow is not eliminated by a Surface Drain. A French Drain can move away water that is below the surface of the ground and drain away water that is on the surface. CMG Sprinklers and Drains designs and installs Drainage Systems. Water Drainage is a big concern to home owners and small businesses. Standing Water from Storm-Water runoff can cause all kinds of problems. Concrete in driveways, sidewalks, and foundations can be damaged. Prolonged Drainage Problems allow mold to occur along with deterioration to plants, trees, and property. CMG Sprinklers and Drains designs Drainage Systems to deal with Water Drainage problems. We provide Free Estimates for all of Central Oklahoma. CMG utilizes: French Drains, Trench Drains, Surface Drains, Channel Drains, Basin Drains, and Sump Pumps. Drains can be simple using one type of Drain, or complex using several types of Drains.